You’ve always been taught to be your own brand of unique. Never copy someone else’s work. Keep your eyes on your own paper. Well, while that may have worked in grade school, it’s probably not the best philosophy in the marketing industry. When it comes to content marketing, standing out among the competition is obviously important, but that doesn’t mean you can’t learn a thing or two from other brands who have found success. Don’t take us wrong. We’re not saying to copy other companies’ work, but we can all learn from the techniques and strategies that led others to success–or failure. 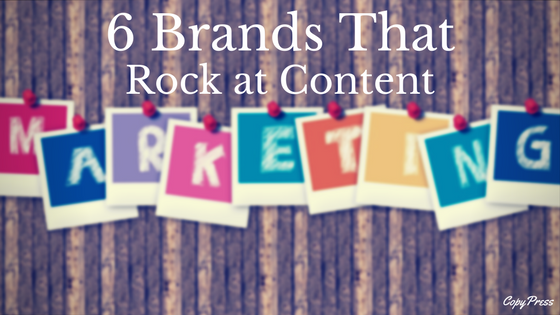 After all, there’s no one secret formula to a great campaign, so let’s see what we can learn from six established brands that utterly rock at content marketing. How do you make razors seem interesting? You don’t want to make the same generic commercial of some chiseled guy slowly shaving his cheek. You need to think outside the box. Dollar Shave Club brings its own unique tone to the razor industry. They captured that unique tone in a promotional video that’s now been viewed over 24 million times. That popularity got the attention of Unilever, one of the largest consumer goods companies in the world, who bought Dollar Shave Club for one billion dollars. What got them such attention? By creating cheeky, engaging content with titles like “Is It Bad to Pluck Nose Hairs with My Fingers?” and “Do I Really Need to Wash My Hands After I Pee?” Such marketing may not sit well with everyone, but Dollar Shave Club took the risk, hit their target audience, and made buying razors fun. You probably already know REI as a successful outdoor company, but did you know that they’re also great content marketers? Their website is full of engaging and useful content, including an Expert Advice learning library full of in-depth explainer articles that have become the key driver of the site’s SEO traffic. REI has also run several video campaigns, including one centered around a half-hour-long video titled “Paul’s Boots,” which tells the story of a man who dreamed of hiking the Appalachian Trail, and the hikers who carried his boots to the top of the trail when Paul died before completing his dream. 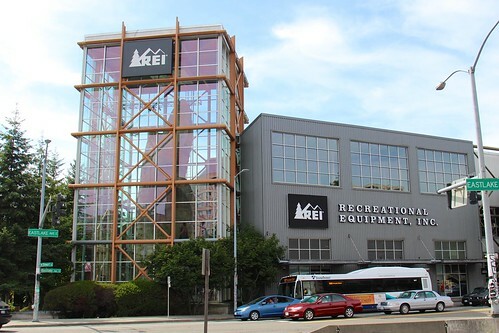 REI’s content establishes a relationship between brand and customer. It proves to consumers that they can rely on the company as well as buy products. Credit card companies often get a bad rap because of incessant requests to apply today. Mastercard, rather than centering a campaign around getting people to apply for one of their cards, launched a campaign to connect with their audience. Prior to the Cubs winning the World Series, Mastercard, who’s been a sponsor of the Cubs for years, took a sound bite of someone accusing Cubs fans of not being passionate enough. They spun the sound bite and built a campaign around it as a kind of challenge. At Wrigley Field, they set up volume meters that measured the sound of the cheering Cubs fans. Then, Mastercard created a video campaign around that event, calling the campaign the “Sound of Priceless.” When the Cubs won the Series, Mastercard launched the video. Not only did they do their job as a sponsor, but they also built a positive relationship between fans and their brand. LEGO’s been around for a long time, and they’re constantly proving that they’re still a part of the game. Not only did the recent LEGO Movie and LEGO Batman Movie increase revenue for the company, LEGO’s also done an excellent job increasing conversions with great content. Most of LEGO’s content is user-generated, with users sending in pictures and videos of their creations. By sharing that media as their content, LEGO displays that it doesn’t just sell plastic bricks, they sell limitless creativity. Focusing on its brand’s essence more than its product may one day make LEGO the world’s largest toy maker. While brands usually focus solely on selling products and services, the influence of a brand really can make a difference in the world. Dove, owned by Unilever, has been feeding the Campaign for Real Beauty since 2004. It all started when Unilever discovered that only two percent of women would describe themselves as beautiful. Since then, Dove and Unilever have focused content on helping women feel beautiful, no matter what. In mid-2016, they launched the My Beauty My Say campaign, which features women standing up for themselves when they’ve been bullied because of looks. In addition to effectively communicating its essence through its content, such efforts have significantly built Dove’s brand loyalty. Dove and Unilever aren’t the only ones to focus less on products in their content marketing. Rather than using their website to simply post deals, get people to their stores, or sell products, Whole Foods Market uses their site as a resource for users by sharing recipes, photos shared on social media of other shoppers’ meals, and tips for eating healthy. Not only do they make effective use of their website, but Whole Foods also takes full advantage of the social media channel. They share pictures of food on Instagram and Facebook and regularly upload videos to their YouTube channel. Video content on their channel includes more recipes, how-to cooking videos, and general food trends. By sharing so much content and engaging their audience, they not only get their brand in people’s homes, but motivate viewers to go out and get ingredients. And guess where they’re going to go? To the Whole Foods Market. You don’t need a textbook on content marketing to learn applicable strategies and techniques. All you need to do is look around at the brands that make up your everyday life. Analyze what makes them stand out or what holds them back. That awareness paired with the successful content marketing that these six brands have displayed will get your brand the attention and loyalty it deserves.